I have just got back from a few days getaway in Poland and I will soon be writing about it. In the meantime, have a story about rice. Do you know how hard it is to get a bag of uncooked rice in the Himalayas? 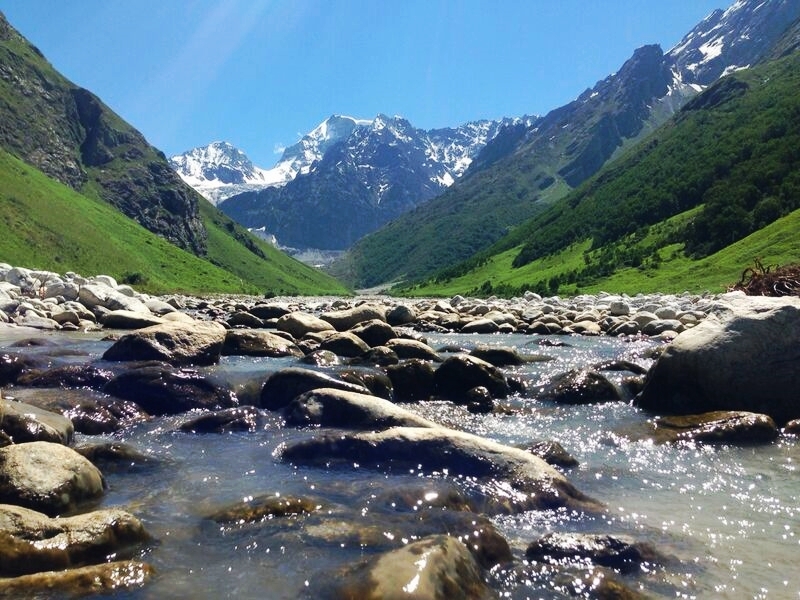 The trek to the Valley of the Flowers was perfect except for one little mishap – I fell into the river. It didn’t hurt, the river was more like a rivulet, we laughed it off. But my trusty camera had taken a dip. I took out the battery and the memory card in hopes of saving them if the camera itself was beyond salvation. As soon as we got back to the hotel in the village, Ben suggested we put the camera in a bag of rice for a day. Whelp, I never even knew that that was a real thing – just an internet joke. I guess you learn something new every day. I was having a mini-meltdown-freakout about the camera (we’ve still got four weeks of the trip left how am I going to take pictures of monkeys now) and my knight in a sweaty t-shirt and worn out sport shorts came to rescue, promising to go downstairs to ask for a bag of rice. Here’s the first thing: the hotel keepers didn’t really speak English. The village is located on a Sikh pilgrimage route, and even though we met a tourist Couple and a couple of Sikhs from abroad on the road, the majority of people passing by would assumingly speak a language other than English. The second thing was that we lived three stories up. The kitchen was on the ground floor. Soon enough Ben comes back, saying he’s taken care of it with the of what I can only imagine was vigorous pointing and helplessly repeating the English word for rice since dumb foreigners didn’t think to learn a word that is only relevant on every freaking Indian meal. ,But apparently he has done something right because soon enough there is a knock on the door. Yes, finally rescue for my poor camera! Behind the door is one of the hotel guys with a bag in his hand. He’s asking if that bag is good for the rice. We say yes and he leaves. We have a little chuckle but hey, you gotta make sure, especially if you’re not sure you understood it correctly. Fourth knock on the door and the guy is back with a perfect amount of rice. Finally! We pay him too much for it, thank him very much and dip the camera in the bag. It was like Goldilocks and the three bags of rice. All’s well that ends well though since the incredible Indian rice absorbed all of the Indian mountain river water out of the camera, and it actually works better now than it did before its swimming practice. All praise to the clear waters of the Himalayas and the helpful Indian staff. What are you guys up to anyway? tämä oli kiva tarina, minulle sopivan helppo 🙂 keitittekö riisistä vielä ruokaa? onko täällä tykkää-nappia josta voisi painaa? Ei ollut missä keittää, jätettiin sitten vaan sinne 😀 Eipä kyllä ole tykkää-nappia ikävä kyllä.